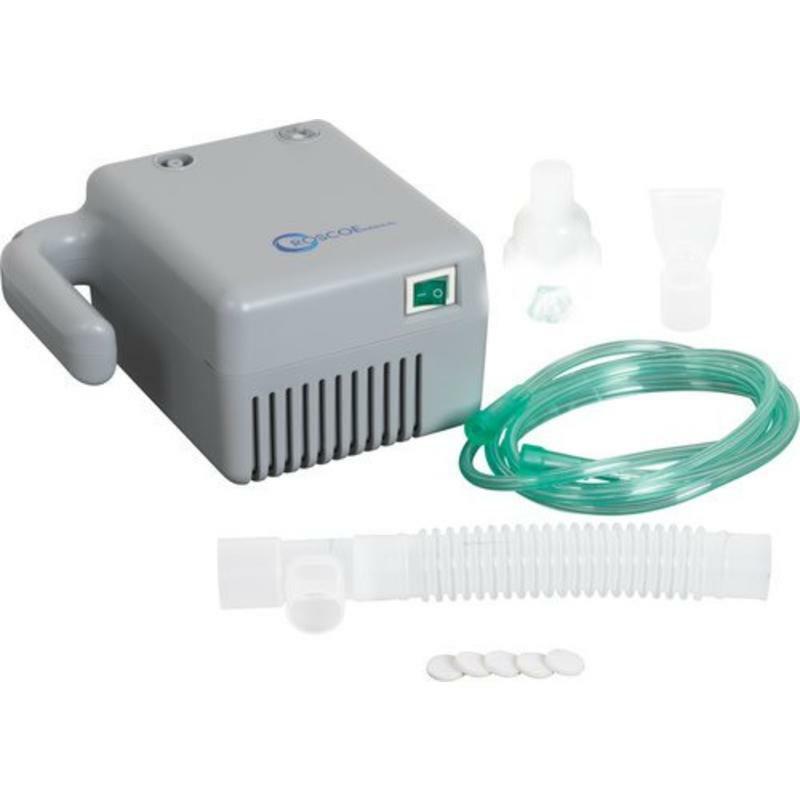 The Rite-Neb 4 Nebulizer System offers reliability and high performance in a portable size with a convenient carry handle. The simple one-button operation and lightweight design makes it extremely portable. 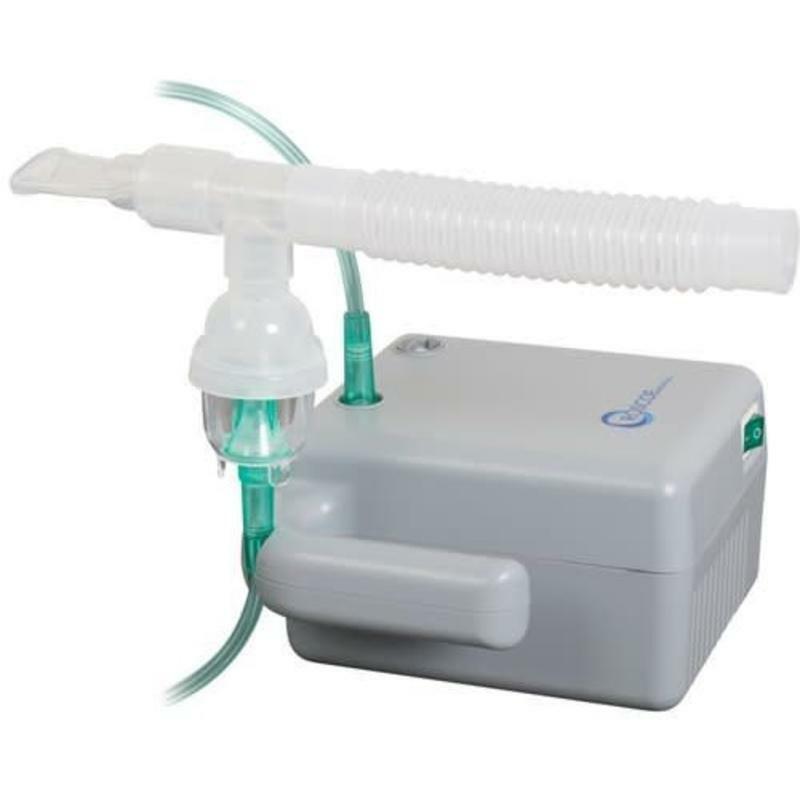 Rite-Neb 4 Nebulizers offer reliability and high performance in a portable size with a convenient carry handle. The simple one-button operation and lightweight design makes it extremely portable. 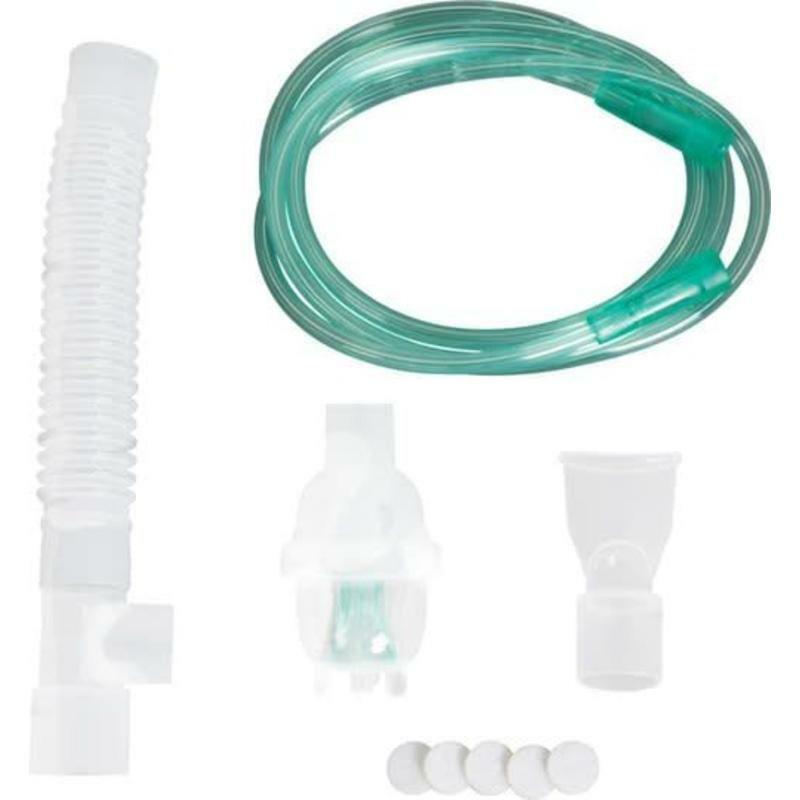 Weighing under 3 lbs, the Rite-Neb 4 includes the compressor, nebulizer, tee, mouthpiece, corrugated reservoir tube, tubing, five extra filters, and instruction manual.